A family of six that moved to Clarksburg. 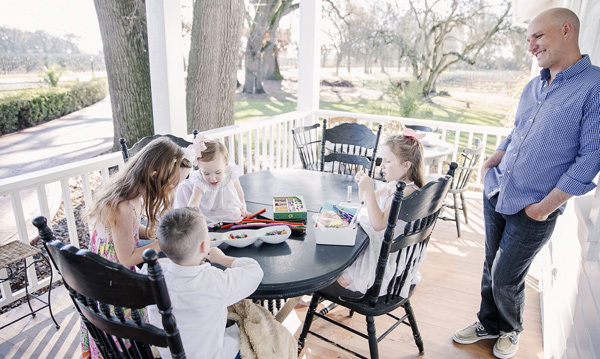 A family of six finds bucolic bliss in a historic Clarksburg home. 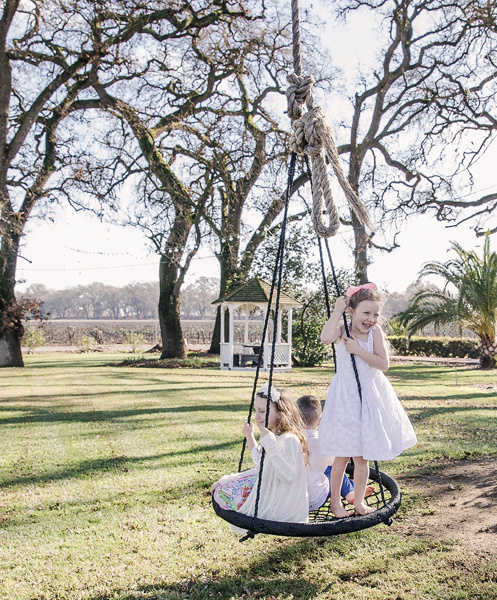 Russell and Lacy Berry always assumed they’d have to return to her native South Carolina to find their dream home: a traditional two-story residence with white clapboard siding, a wide porch and ample room for chickens and children to roam. 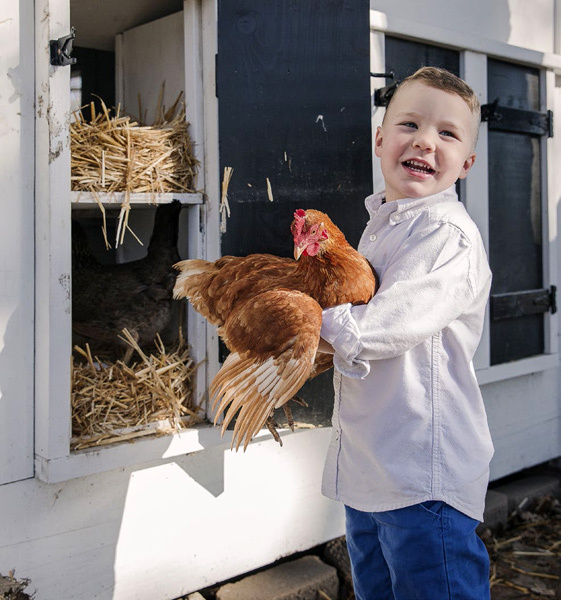 Having grown up in the country, the couple wanted to give their offspring the same rural upbringing they had enjoyed, but they weren’t convinced they’d find what they were looking for in California. 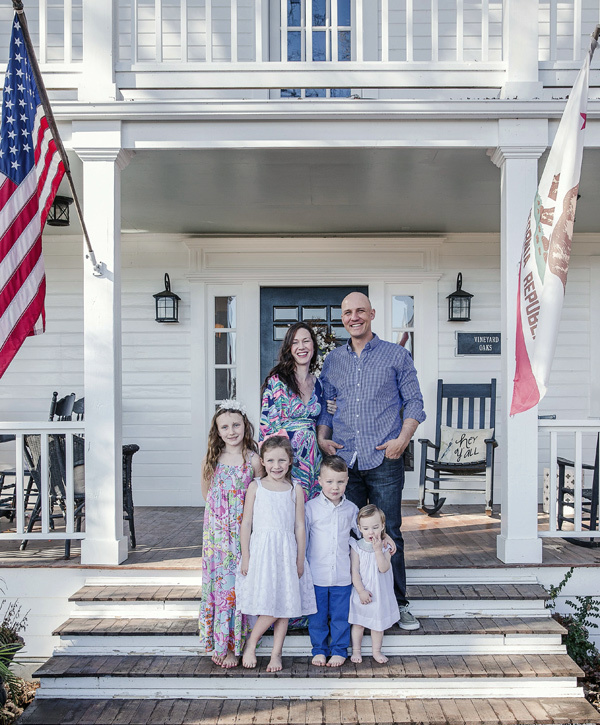 The house the couple fell for is a five-bedroom, 3,300-square-foot homestead a 20-minute drive south of downtown Sacramento. 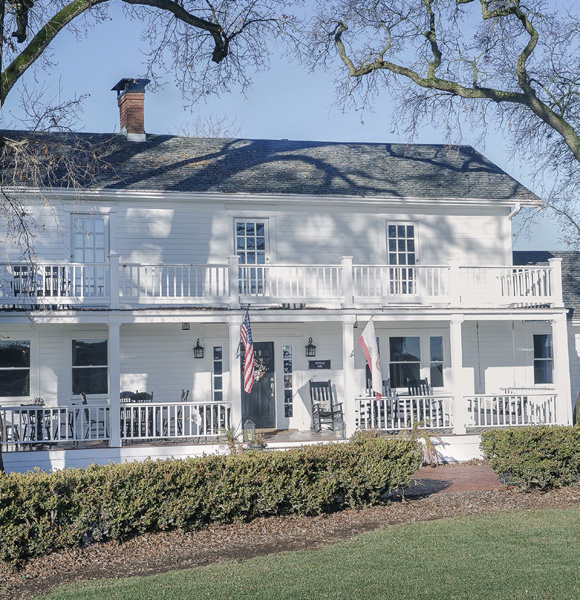 Built in 1915 by the Heringer family, whose descendants operate a winery nearby, the residence is one of the oldest in Clarksburg. 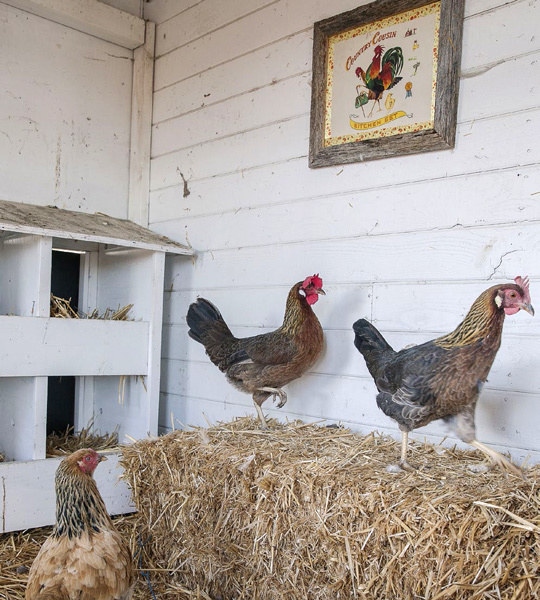 Most importantly, the acre-and-a-half property offers plenty of fresh air and freedom for their four children, Elizabeth, Annabelle, Rush and Claire, to enjoy. When the Berrys purchased the unoccupied property in 2010 (they are the fourth owners), it had fallen into considerable disrepair. Vegetation around the house was overgrown, the porches were rotting and the upstairs bathroom was leaking through the wall. They even discovered a beehive in the floor of the dining room. To make matters worse, the house had no air conditioning, and heating came from inefficient radiators and diesel boilers. “We ran through $1,300 worth of diesel in the first month,” recalls Russell. 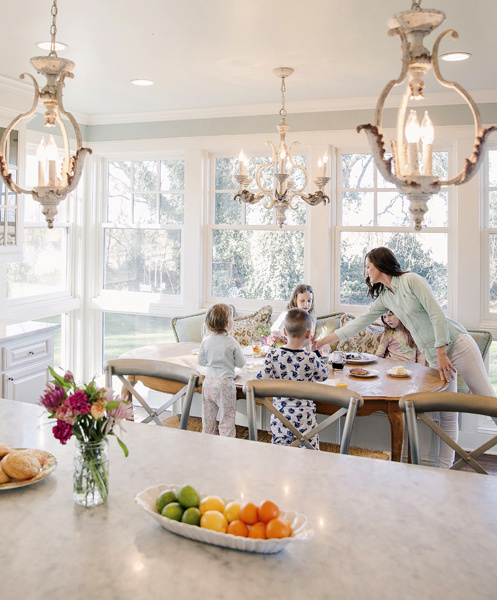 Except for converting an enclosed porch into kitchen space and adding large windows that overlook the backyard, the layout of the home remains largely the same as it did a century ago. The functionality of the residence has improved vastly with the installation of new electrical, plumbing, heating and cooling. 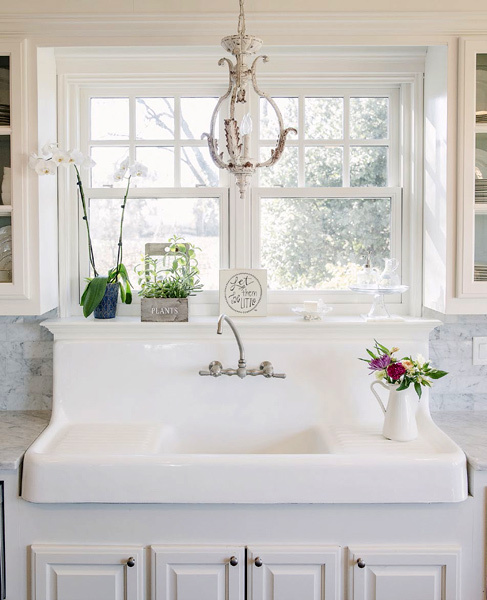 “We kept one radiator in the upstairs bathroom just for nostalgia,” says Lacy. Russell, with a little help, conquered nearly all of the renovations himself, enlisting Lacy’s father to travel from South Carolina to help build the kitchen cabinets. “We basically set up a cabinet shop in the living room,” says Russell. 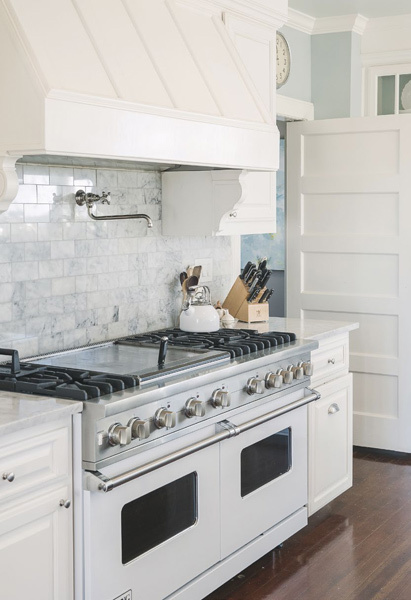 Linoleum floors were pulled up to reveal virtually untouched wood beneath. Moldings and wallboards were replaced throughout. Lacy, meanwhile, left her creative fingerprint on the décor, which is largely traditional and full of personal touches. 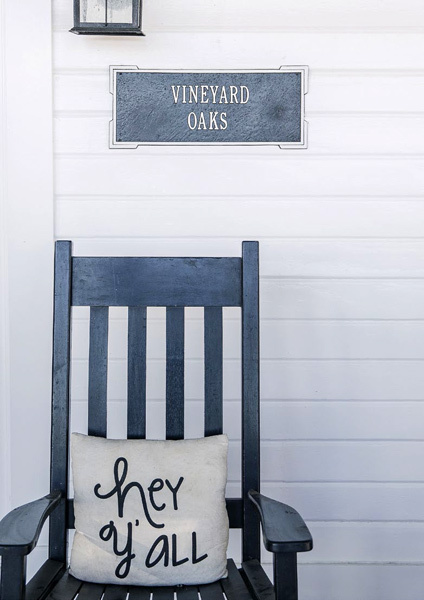 Today, a nameplate at the front door reads “Vineyard Oaks,” a fitting moniker for a property scattered with 37 oak trees and surrounded by wine grapes as far as the eye can see. Neighbors, many of whom have fond memories of visiting the home over the decades, have been pleased to witness its rebirth, say the Berrys. A home in Clarksburg, CA. 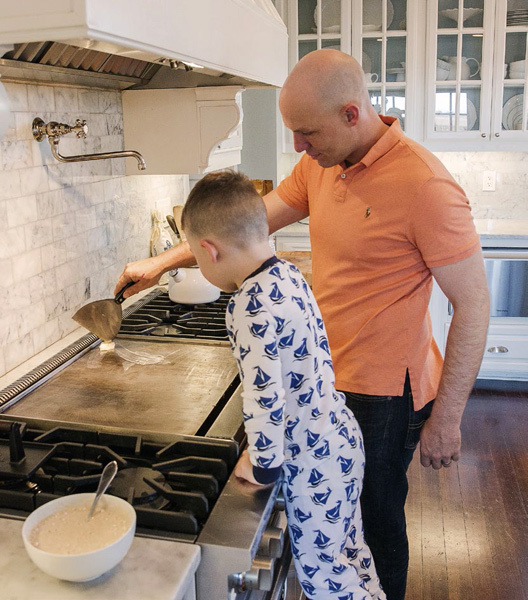 Father and son making breakfast. 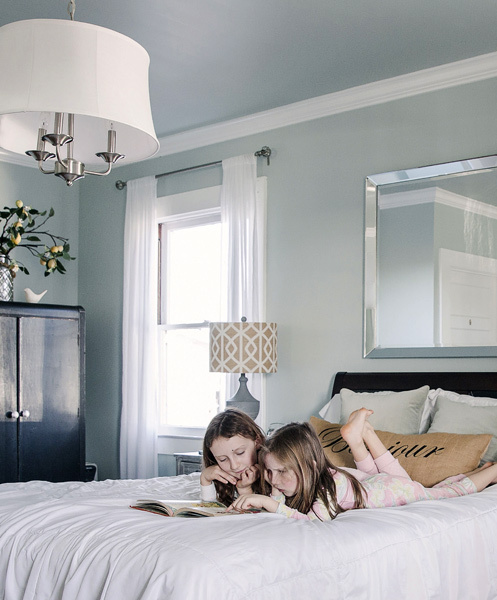 Two children reading together on the bed. 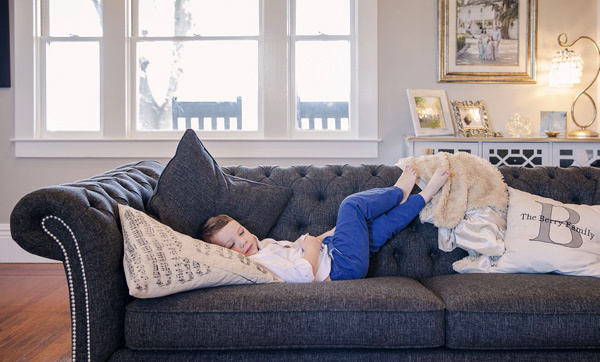 One of the children taking a nap on the sofa. 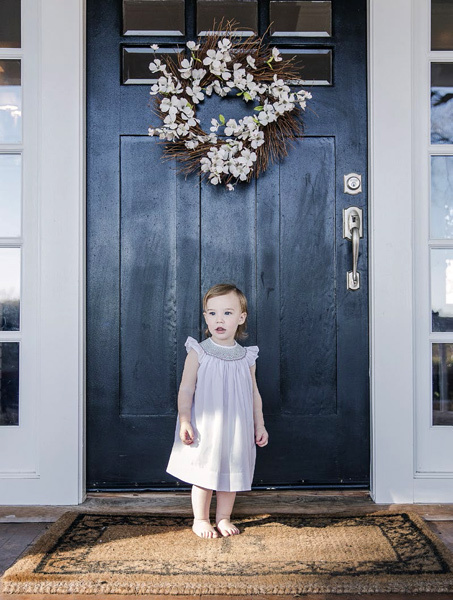 A little baby standing in front of the door. A chair and pillow outside the home.